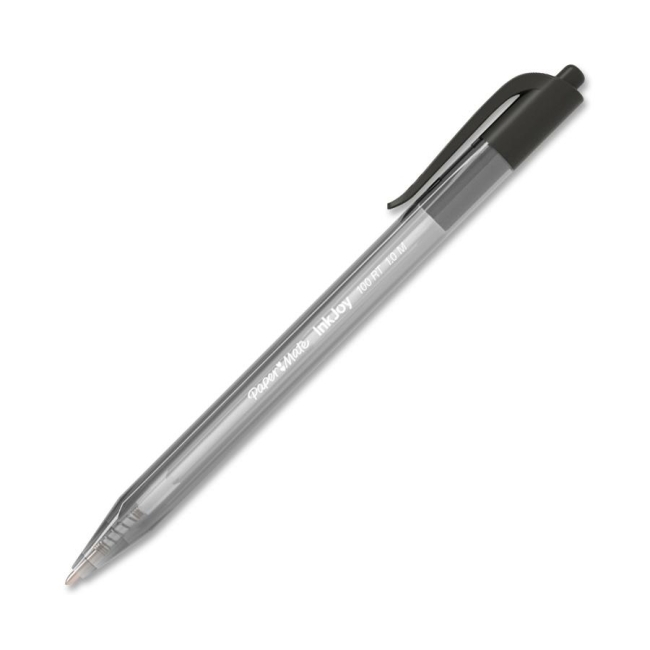 Retractable ballpoint pen features an effortless glide writing system that starts quickly without dragging, requires minimal pressure from your hand, and delivers crisp, clean lines every time. Triangular shaped barrel adds extra writing comfort and control. Clear barrel lets you easily monitor remaining ink supply. Pen includes convenient smooth slide clip.